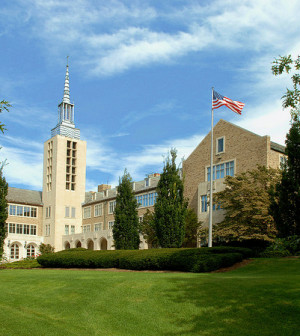 St. John Fisher College is an independent, liberal arts institution, in the Catholic tradition of American higher education. Located just outside Rochester NY, the college offers 33 academic majors, and 11 pre-professional programs, including the Wegmans School of Pharmacy (WSoP). WSoP was looking for a simple, secure way to distribute videos and feedback documents, in order to improve students’ proficiency and communication skills as future pharmacists. During their final course before beginning rotations in real patient care settings, students are challenged to integrate all aspects of pharmaceutical care in a simulated practice environment, using hired actors to pose as patients. The simulations take place in a series of study rooms, equipped with video tools and monitored by Media Application Specialist Matthew Miller and WSoP administrative staff. Students and faculty use the videos to assess student performance in realistic professional interactions. In the past, recorded sessions were distributed using a time-consuming manual process, which involved creating 50-100 DVDs every week or two, and either passing them out by hand or sending them through the US Mail. In October 2011, the college installed Ensemble Video on their campus servers, reducing the burden on IT staff, and greatly decreasing overall turn-around time. Crestron and Digital Rapids tools were adopted to streamline the video production workflow. Need simple, secure method to distribute recorded patient counseling simulations for school of pharmacy. 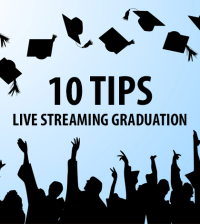 Need automated video production workflow to manage nine simultaneous live recording sessions. Need video content management that works together with Crestron and Digital Rapids tools. Streamlined media delivery process to off-campus faculty. Decreased workload for busy IT professionals, instructional designers, and faculty. Enabled immediate student self-reflection, and timely faculty feedback, to improve course outcomes and learning. From a control room, Miller facilitates video production for simulated patient counseling sessions in nine individual study rooms. Each room is wired with a mounted pan–tilt–zoom (PTZ) camera, start/stop recorder, and a Digital Rapids TouchStream LE live video encoding and streaming appliance. Miller uses a 15 inch Crestron Isys Tilt Touchpanel (TPS-15B), with a Crestron PRO2 Professional Dual Bus Control System to monitor and control all the cameras and recording devices. Audio and video output from each study room is sent to the TouchStream appliances. Files are automatically time/date stamped, and recorded to unique shared watch folders on the Ensemble Video server. The files are transcoded by Harmonic ProMedia Carbon (part of the Ensemble Video package), and appear in Ensemble Video media libraries, designated by study room number, allowing Miller to stream them out to the appropriate users. WSoP Assistant Professor and Laboratory Experience Coordinator Anthony Corigliano utilizes the attachments feature in Ensemble to include self-reflection questionnaires for students, in the form of Microsoft Word documents. For faculty, he provides a link to a grading rubric for the course in Blackboard Learn, the college’s learning management system (LMS). “It has really been a dramatic positive change in terms of turn-around time,” said Corigliano. Faculty members are pleased they can access the videos almost immediately, from anywhere, rather than having to wait for a DVD to arrive in the mail. Faculty are able to use the videos for grading and provide feedback very quickly. “Faculty love it,” he said. “It’s just so much more efficient than what we were doing before. And, we also now have a video library as a resource for examples and trainings.” Faculty members use past videos to share exemplary student work with future classes, and course coordinators like Corigliano use the videos to orient new faculty and “patient” actors to the course. From the IT perspective, Miller sees the proof in the pudding. “I know they’re happy with it, because I haven’t heard any complaints,” he said. He also notes improved security. Before, the DVDs could be passed around to anyone. Now, students have to login to the Ensemble system, and can only see their own work. Click here to read the entire Ensemble Video St. John Fisher Wegmans School of Pharmacy case study.